Volleyball is a game about momentum. Whoever can force the momentum in their favor wins the game. The momentum wasn’t in our favor on Saturday, February 17. In my three years on the volleyball team, we have lost every game against Pratt, both home a­­nd away. Coming into the game, our prospects of victory looked very slim, considering our starting line-up had three of our best players missing: Sam Cheng with his powerful spiking, Soham Patel with his formidable height, and the experienced all-rounder Sun Kim. 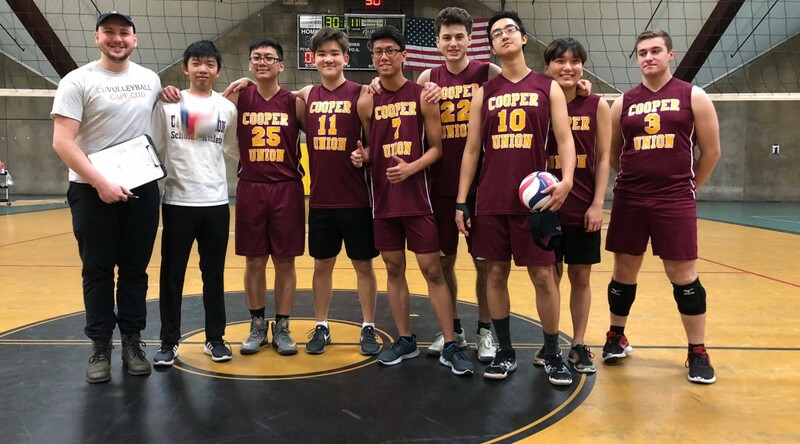 Cooper’s athletic teams have been training hard and participating in multiple competitions for the past couple of months as they prepare for an intense training trip to South Carolina for spring break. For the past 25 years the South Carolina trip has been dedicated to improving teamwork and individual skills. This trip has appeared to be extremely successful as scholar athletes are given the opportunity to work together on and off the field. Initially this trip was made for the men’s varsity tennis team in which daily 9-hour practices, instructions, competitions, and chemistry work are focused on. Dean Baker comments, “Tennis is our most successful team and we now invite other teams to be part of this trip. We now bring the men’s volleyball team, the golf team and some basketball players. They all put a lot of time, energy and commitment to getting better and the heaviest bag they bring on the trip is their book bag.” Not only is this trip used for team practices and studying, it is also a mid-semester breather where students spend time together and relax after an intense week of midterms. 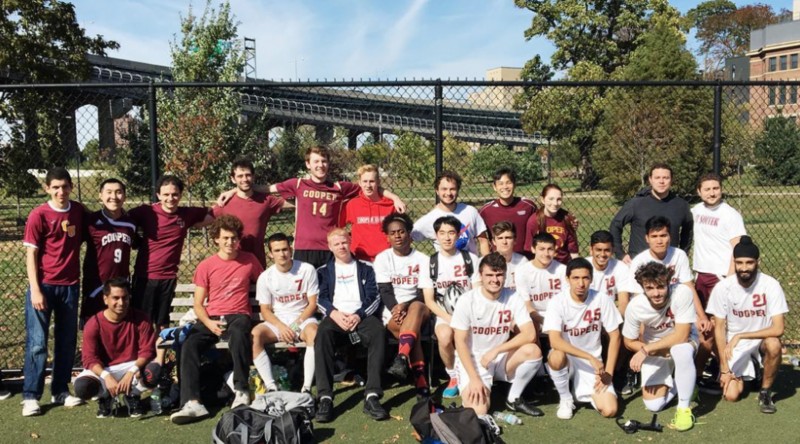 Current coach and graduate mechanical engineering student Anthony Assal comments “The tennis team at Cooper Union always has great expectations of them to be the best at what they do, and this year is no different. I am honored to watch them develop themselves and to put all the effort they do in improving their game and their character. We have a new chapter in tennis this season and I am looking forward to how everyone will rise up to the occasion to bring the scholar and the athlete to the court.“ Following the trip to South Carolina, the men’s tennis team will continue their season with games against Sarah Lawrence, the Culinary Institute of America, The New School, and Webb Institute. Keep an eye out for more updates on current season games as well as information for team tryouts for the 2016/17 season. Photos from Cooper Union website. 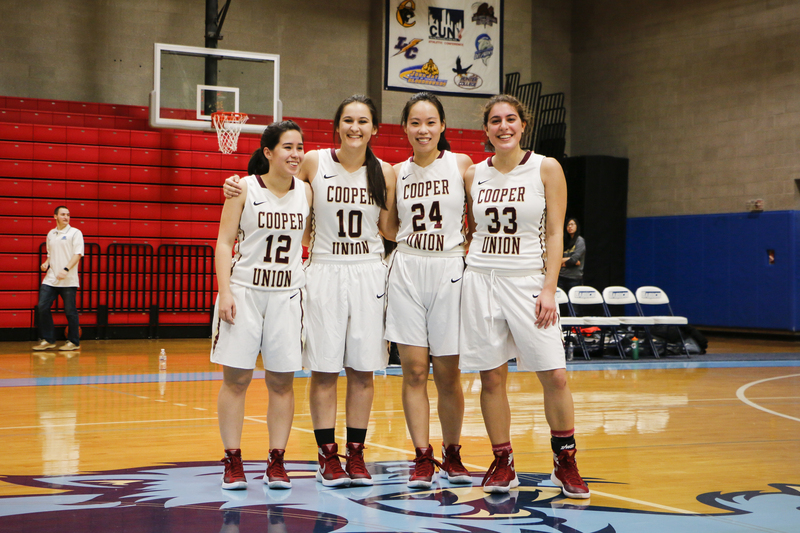 Girls Basketball: Hats off to the Seniors! Stoyanovich, Jamie Chan, and Kayla Weg. Coming off an intensive training trip to Cape Cod, where teams had two-a-day practices and cross-training sessions with certified professionals in yoga and physical therapy, the Cooper Athletics program is strengthened and well-prepared for its upcoming seasons. The soccer team’s perfect 3-0 record represents the dedication of the athletes who devoted some of their summer to training. After two golden goal victories against the Culinary Institute of America and Vaughn College earlier this month, the team extended their winning streak to 3 games as they defeated The Webb Institute 4-0 in regular time. Charles Dorrance-King (Arch ’18) scored two powerful headers through set pieces created by playmaker Andrew Peña (CE ’18). Freshman Zalmai Levrat (Arch ’20) scored a magnificent volley just outside the 18-yard line, while Wei Tin (ME ‘18) ended the night with a sneaky chip ball past the Webb goalkeeper. Following the victory, Peña stated, “So far, the team has shown extreme determination and resilience to win the first three games of the season, and I hope that we continue and improve in the same fashion as the season progresses. The team owes part of its success to the new freshman additions to the team who have solidified our back line and provided goals in each game.” The Cooper soccer team was boosted with the arrival of freshmen Kyle Brady (ME ’19), Robert Dietz (Art ‘19), Jonathan Bair (EE ’19), Lea Simoniello (Art ‘18), Casey He (BSE ‘19), Christopher Watkins (EE ’19), Misha Luczkiw (EE ’19), and Zalmai Levrat (Arch ’20). The coed soccer team is currently the only team in season. Tennis and women’s volleyball will begin their seasons within the month. 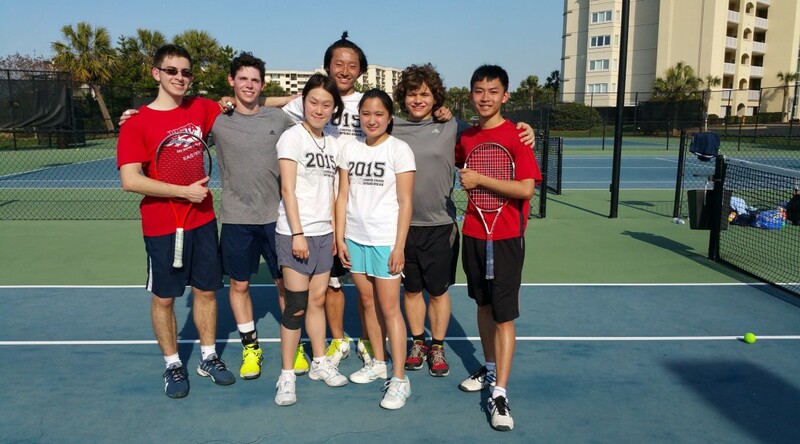 Kevin Shi (CE ‘16), senior captain of the Cooper tennis team, commented, “Everyone at Cape Cod and recent practices has shown an incredible amount of improvement. If that’s any indication for the season, I’m expecting another undefeated year.” The tennis team’s first match is against Pratt on Saturday, September 26th. The first official season of Cooper golf begins in October. The coed team, led by junior Jack Donnellan (CE ’17) and senior Matthew Smarsch (CE ’16), is looking for more experienced players to join them. 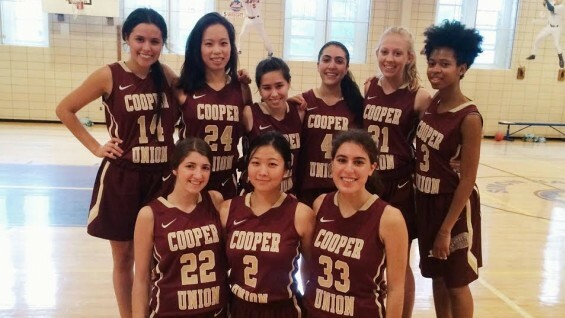 Donnellan comments, “the team is looking solid at our weekly practices.” For all those interested in joining Cooper’s newest athletic team, contact Smarsch, Donnellan, or junior team member Ryan Smith (ChE ’17). 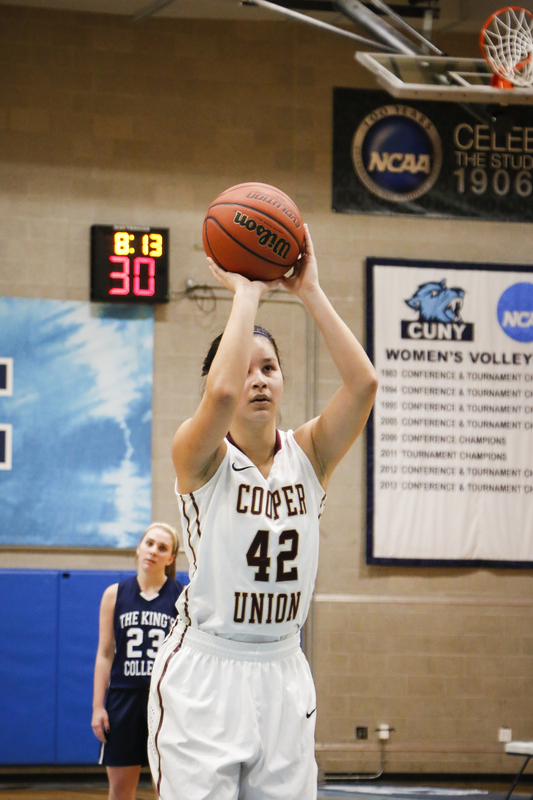 Both men’s and women’s basketball begin their seasons in November after returning from their trip to Florida. The teams are led by senior captains Andrey Kovalev (CE ’16) and Matthew Smarsch and Nina Berlow (CE ’16), Jamie Chan (ChE ’16), and Kayla Weg (CE ’16) respectively. Both teams practice throughout the entire academic year and into the summer. Berlow comments, “We have students from every grade and every major playing with us…It’s awesome to have a group of accomplished students, skilled athletes, and fantastic people working together.” Keep an eye out for the alumni games in October for a chance to see the athletes in action before their seasons begin. With the end of September comes the start of fall and of the rigorous demands of classes, with midterms and even second exams looming in the future. For the scholar athletes of Cooper, this is also combined with the demands of their teams. 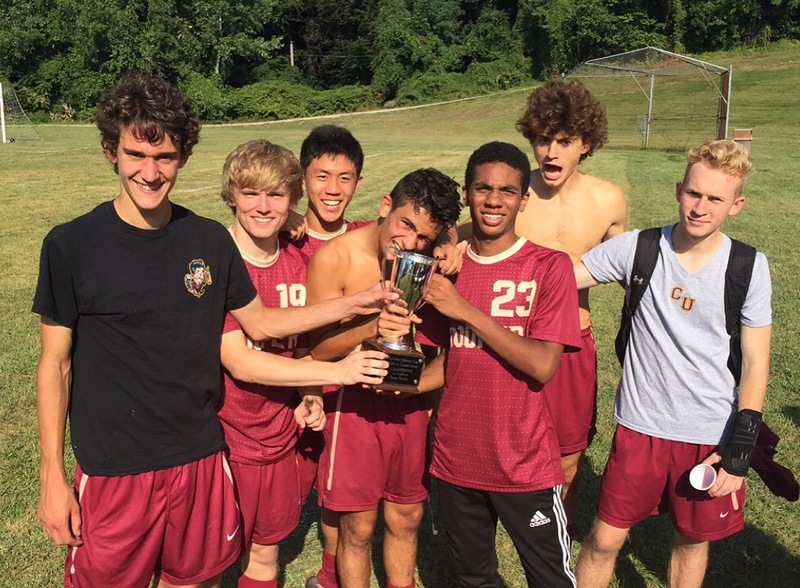 For the soccer team, their season has already started with three games played against two of their rivals, CIA and Webb Institute. 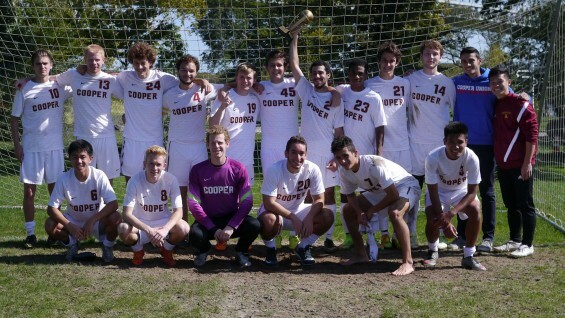 A long-standing tradition for the soccer team is to play these two teams for Cups, the Campbell Cup and the Webb Cup respectively, where the winning team brings the cup home. They lost their first match against CIA on September 6th, but on September 14th, they defeated CIA and brought home the Campbell Cup for the first time in four years. 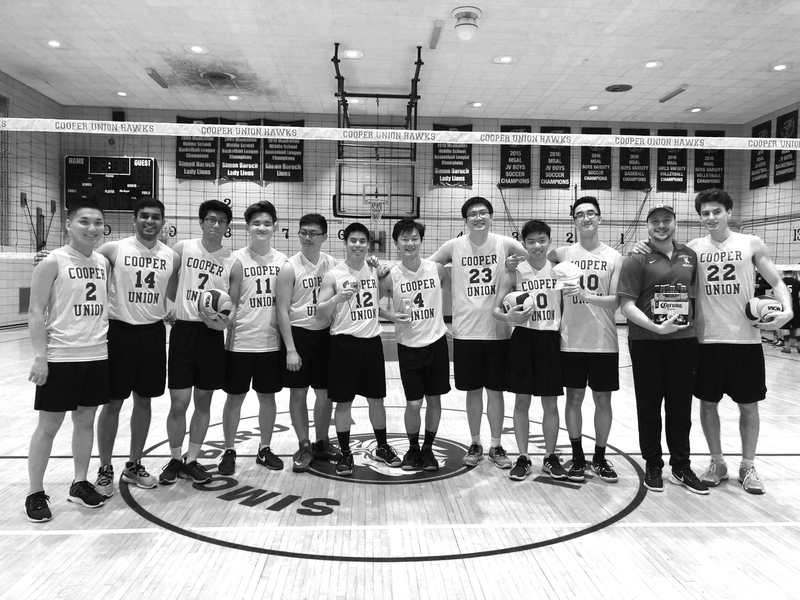 On September 20th, they defeated Webb Institute after a tense match to keep the Webb Cup home. The next match for the soccer team will be on September 26th against King’s College at Randall’s Island. For the men’s tennis team, their first game is the 1st Annual Fall CU Invitational on October 17th and they have been practicing hard in the mornings to prepare for their upcoming match. The women’s tennis team is in the process of rebuilding, since most of their team had graduated this past May, and has their first match in the spring. The cross-country track team has been running around the city, practicing and participating in local races. The men’s volleyball team, with their first game in January, has been focusing on building their team and practicing consistently. Women’s volleyball started their season along with the school year with three games already completed against St. Joseph, Pratt, and Mount Saint Vincent and another one upcoming on September 27th against CIA. They are also in the rebuilding process but are very hopeful in their team and what they can accomplish. The first men’s basketball game will be an Alumni game on October 25th at Baruch JHS. They have some very skilled players on every position and were lucky to find talented new members to join their team. With friendships both on and off the court, the team chemistry is wonderful. 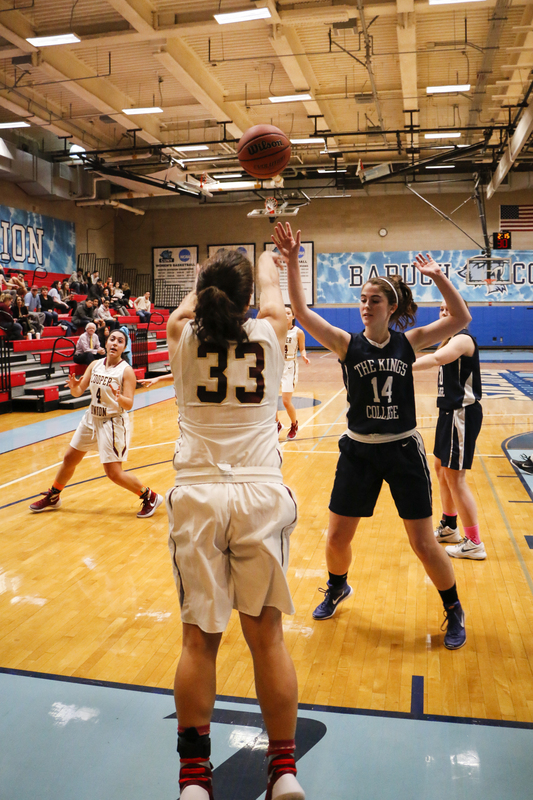 The women’s basketball team is also in the rebuilding process but with the skills that were developed at Cape Cod and consistent practices, they are confident of what the team will be capable of. Their first game will also be an alumni game on October 25th. For more details and schedules, check out the “Student Affairs” section on the Cooper website!